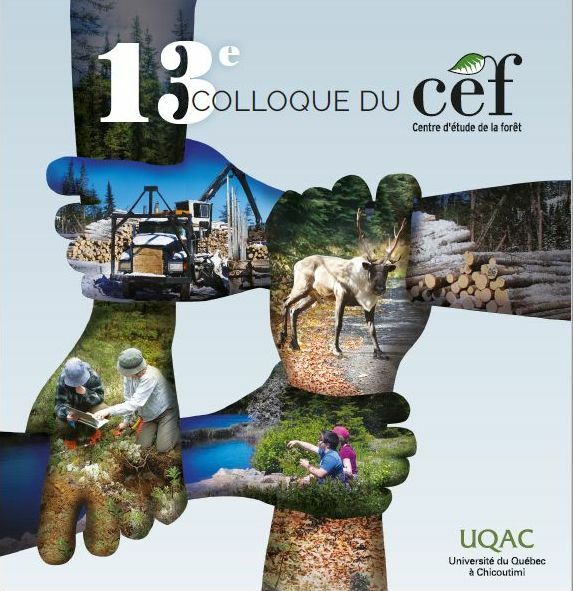 Jean-François Bourdon étudie l'utilisation de la télédétection pour évaluer la sévérité de feux de forêt dans une perspective de récolte de morilles en forêt boréale. Il est sous la supervision de Louis Bernier. Cote, B., Hendershot, W.H., Fyles, J.W., Roy, A.G., Bradley, R.L., Biron, P.M. and Courchesne, F. (1998) The phenology of fine root growth in a maple-dominated ecosystem: Relationships with some soil properties. Plant and Soil, 201(1):59-69. 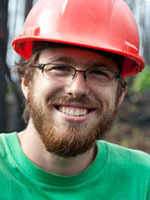 A two-year study was undertaken in a maple-dominated watershed of southern Quebec, Canada, to examine relationships between trends in fine root growth, stem diameter growth, soil moisture, soil temperature, mineralized-N and extractable-P. Until September, soil temperature was consistently higher in 1995 than in 1994. Apart from the first sampling in mid-May, soil moisture was higher in 1994 than in 1995. In 1994, most fine roots were produced before leaf expansion, whereas in 1995, fine root production peaked in July. Annual fine root production was estimated to be 2.7 times higher in 1994 than in 1995. Stem growth was strongly associated with the seasonal and annual variation in soil temperature. Root and diameter growth were asynchronous in 1994 but not in 1995. Fine root production was associated with two groups of variables: a soil fertility (mineralized-N and extractable-P) group and a physical soil environment (moisture and temperature) group. Our results are consistent with the negative effect of high soil-N fertility on fine root production but are inconclusive as to the positive effect of high soil-P fertility. Soil conditions that are detrimental to root growth such as high N availability and anaerobiosis could modify the normal dynamics of fine root growth.